Camper, Petrus. “On the Origin and Color of Blacks,” De Rhapsodist 2 (1772): 373-394. “Petrus Camper on the Origin and Color of Blacks,” History of Anthropology Newsletter 24 (December 1997): 3-9. Translated from the Dutch into English by Miriam Claude Meijer. Camper, Petrus. “Zusatz zu der vorhergehenden Abhandlung aus einem Schreiben an die Naturforschende Gesellschaft von Petrus Camper,” Schriften der Gesellschaft Naturforschender Freunde zu Berlin 7 (1787): 197-226. “On the Absurdity of the Supposed Unicorns.” Supplement to the Preceding Treatise from a Letter to the Naturforschende Gesellschaft from Petrus Camper. Translated from the German into English by Miriam Claude Meijer. Camper, Petrus. “On the Best Form of Shoe,” James Dowie, The Foot and Its Covering (London: Hardwicke, 1861): xxvii-44. Translated from Dutch into English by James Dowie. Georges Buffon, “Of the Varieties in the Human Species,” Barr’s Buffon. Buffon’s Natural History Containing A Theory Of The Earth, A General History Of Man, Of The Brute Creation, And Of Vegetables, Minerals, Etc. (London: T. Gillet, 1807), vol. 4 (of 10), pp. 190-352. Transcribed by Miriam C. Meijer. Translated by BARR. 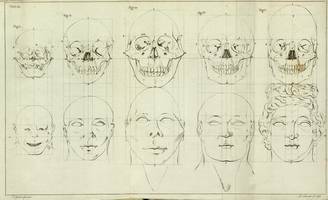 L.-J.-M. Daubenton, “Essay on the Differences of the Position of the Occipital Foramen in Man and in Animals,” Histoire de l’Académie Royale des Sciences avec les Mémoires de Mathématique & de Physique (Paris) (1764): 568-579. Translated by Miriam Claude MEIJER. J.-J. Rousseau, Discours sur l’Origine et les Fondements de l’Inégalité parmi les Hommes (1755). J.-J. Rousseau, A Discourse Upon The Origin and Foundation of the Inequality Among Mankind (1761) anonymously-translated English publication preserved all of Jean-Jacques Rousseau's original footnotes.